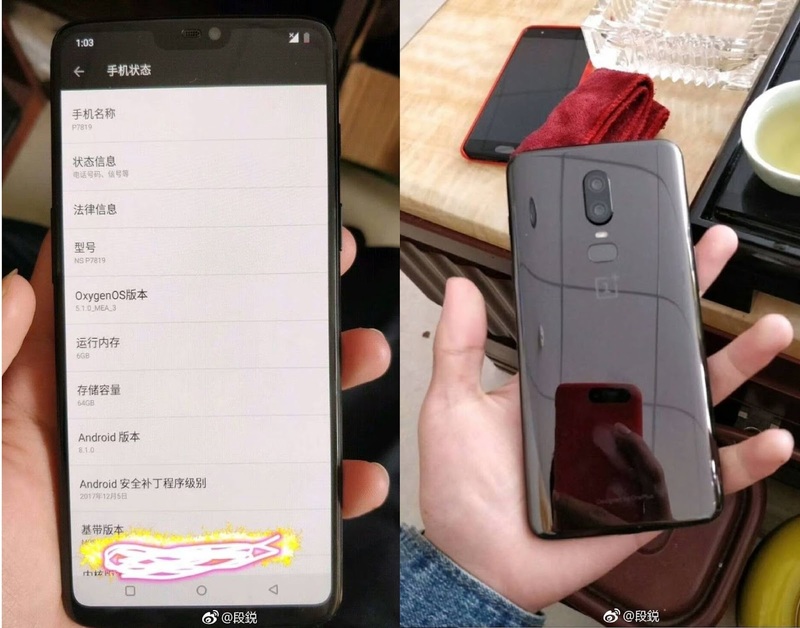 OnePlus recently launched OnePlus 5T now one Plus is working on OnePlus 6 Smartphone Now a Hands-on image of OnePlus 6 Leaked with FullView Display, Dual rear Camera. According to a leaked image, OnePlus 6 will have a glass back, Vertical Dual Rear camera and fingerprint sensor placement. It will have less bezels compared to OnePlus 5T. Leak Also show iPhone X like notch. OnePlus 6 will be powered by Snapdragon 845 processor to run on OxygenOS 5.1.0 which is based on Android 8.1 Oreo.OnePlus 6 will feature Dual Rear Camera, 6/8GB of RAM, 64/128GB internal storage. OnePlus 6 to launch in the second quarter of 2018. take this leak with a pinch of salt.